The New Forest Kayak and Canoe Club was founded in 2007 by a small group of enthusiastic individuals who were keen to meet and improve their paddling skills. Since then the club has grown to over one hundred members with a range abilities from BCU 1 star standard up to BCU 5 star leader. Our geographical location has naturally led to a high proportion of sea kayakers, however many of our members have interests in white water, open canoeing andsurf kayaking and the club encourages all members to try these broader activities. We meet on Wednesday evenings throughout the year spending the spring and summer evenings on the Beaulieu River and paddling locally in the Solent area. In the winter we move inside for pool sessions to practice in the warm. Throughout the year we regularly practice safety skills such as rolling and rescues and encourage all members to take part in these fun wet sessions. Thanks to a grant from “Awards for All” the club has a number of boats and other equipment available for club members to use for a nominal charge. Click here for details. 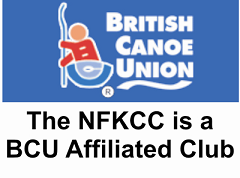 Although we are not a coaching organisation, the club manages to cater for members who are new to paddling by mentoring, support and encouragement and has an active core of members as well as BCU level 1 and 2 qualified coaches who are generally willing to spend time helping beginners. This infectious enthusiasm results in many members who continually wish improve their skills and experience through professional training and coaching. The club organises a programme of events throughout the year catering to all paddling abilities. These include sea kayaking trips along the Hampshire and Dorset coasts, white water trips to Devon and Wales as well as some weekend trips. 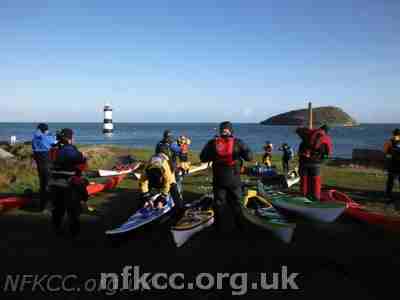 Club members are keen to attend sea kayak symposiums during the year and members are encouraged to undertake professional coaching with courses organised for Foundation Safety and Rescue, VHF Radio and First Aid training. Details of the current programme of trips, Symposiums and courses can be found on the Events Calendar. The club has an active online forum available to all members where peer paddles are arranged, equipment and events are discussed and a gallery of photographs from club trips and other events can be found. The current membership fees for BCU members are £30 for an Adult. Juniors will be accepted for a membership fee of £15 as long as a parent or guardian is a current member and accompanies the child on the water at all times or is present on the poolside during pool sessions. An additional charge of £2.50 is applicable for non BCU members. Prospective members should have a competency level equivalent to a BCU 1 star award. The one star is the BCU one day introduction course to canoeing and kayaking. Local course providers include Liquid Logistics, Woodmill Outdoor Activities Centre and Calshot Activities Center. To join please contact the Membership Secretaryto request an application form. 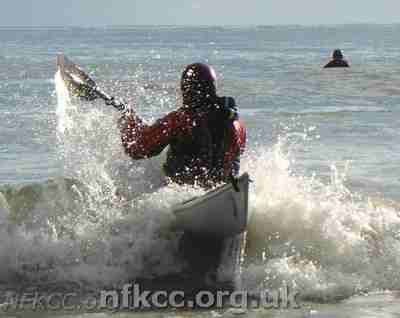 For further information and details please contact the New Forest Kayak & Canoe Club Secretary.